Singer IU’s “Autumn Morning” secured the No. 1 spot on local music charts despite the new release from another K-pop big name BTS on the same day. As of 9:50 a.m. Tuesday, “Autumn Morning” remained on top of all seven local music charts including Melon, Genie and Bugs. “DNA,” the lead track from BTS’ new album “Love Yourself Seung Her,” took the No. 2 spot on all but two music charts -- Mnet and Monkey 3. 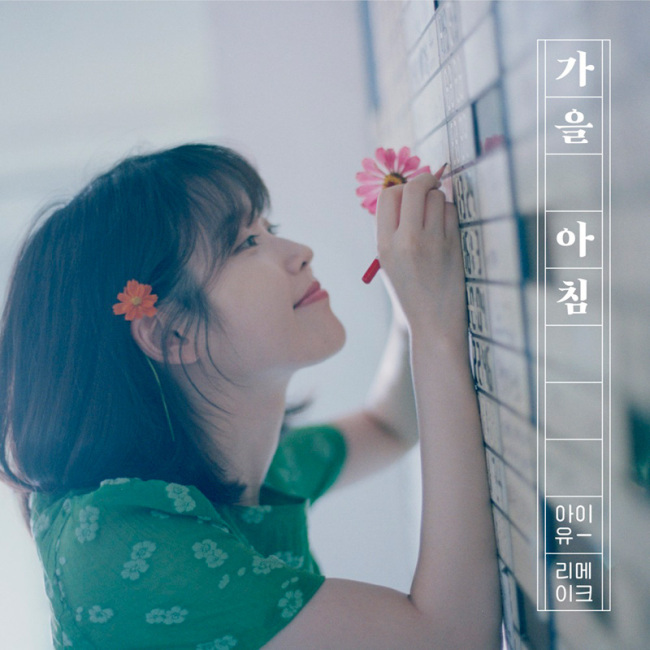 “Autumn Morning” is a track from IU’s upcoming remake album “A Flower Bookmark Two.” The singer made a surprise prerelease of the track at 7 a.m. Monday to celebrate her ninth debut anniversary, which fell on the day. BTS’ “Love Yourself Seung Her” received enthusiastic responses at home and overseas, with preorders reaching more than 1.05 million copies before its release Monday.